In a not yet released 2-hour interview with Automobile Mag‘s Georg Kache, Marchionne discusses the recent rumors of a FCA partnership with Google for self-driving cars and how the automaker wants to position itself in an industry disrupted by the likes of Apple, Google, Tesla and Uber. Marchionne’s company is reportedly in the late stages of discussing an “advanced technical partnership” with Google, while on the other hand, Apple is reportedly in talks to build its upcoming ‘Project Titan’ vehicle in partnership with auto parts giant Magna. “My approach is to be completely open to technology. I think the next paradigm of this business is a paradigm that involves the cooperation for technology with the disruptors. Google is one. Apple is another, even Uber. It’s all about access to the complete information on what people do in the car. That’s when the consumer has time on hand and the business case blossoms. The key is to find a way in which we can coexist with the disruptors, and bring our set of skills to the table. Speed is essential here. 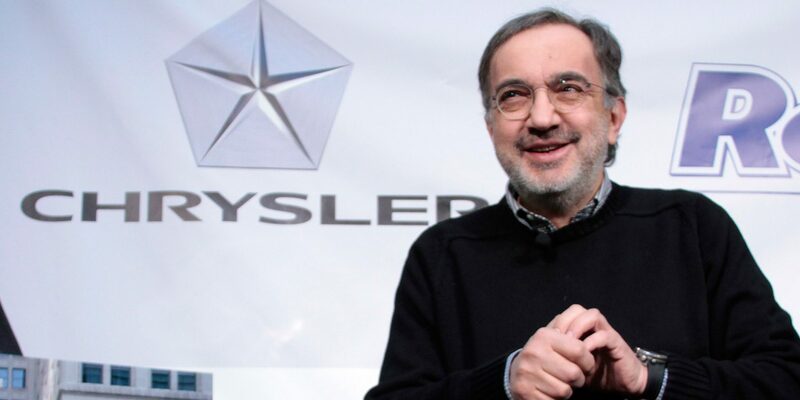 In the interview set to be released on Monday, Marchionne and Kache discuss several possibilities of multi-brand partnerships between FCA’s Jeep, Alfa-Romeo or Dodge, and both Google and Apple simultaneously, as well as the role of ride-sharing firms like Uber.